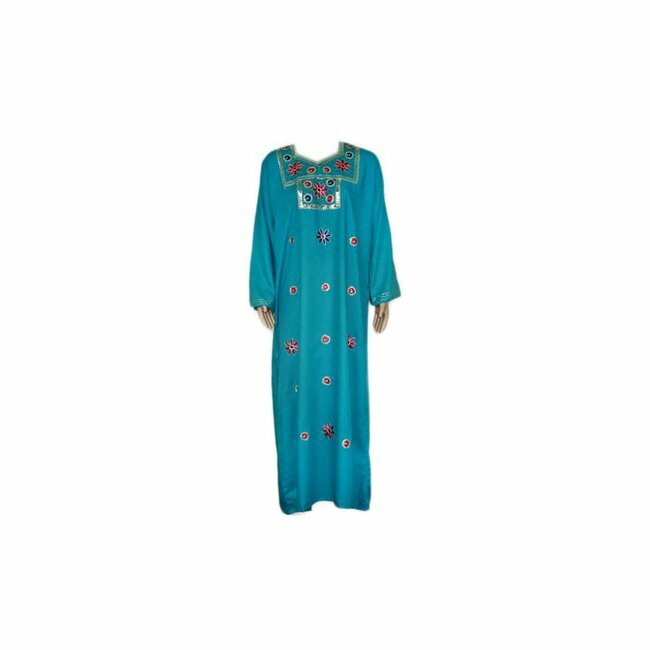 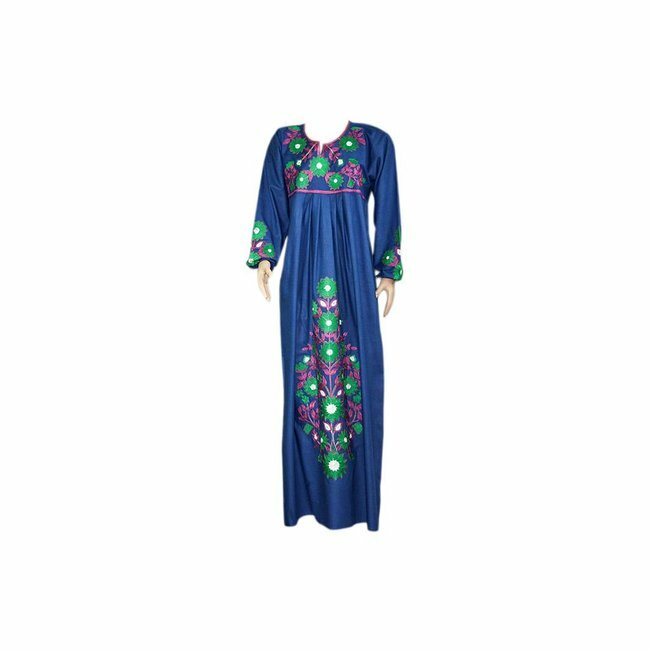 Embroidered Kaftan in Turquoise with gold embroidery; 100% cotton (S, M, L, XL) Read more..
A beautiful Jilbab kaftan in turquoise with gold embroidery. The sleeves are long sleeves. 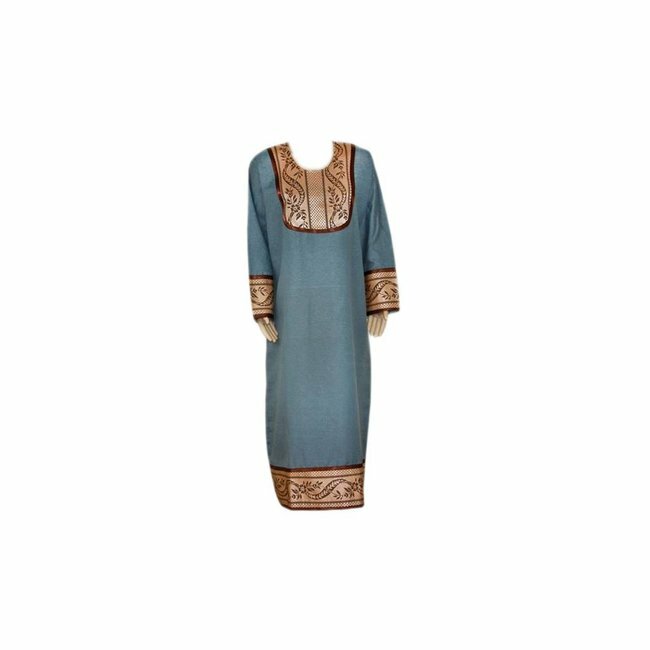 The fabric of the djellaba dress is made of pure cotton. Arab dress in orange with embroidery, 100% cotton (S, M, L, ..